Beemapally, a suburb of Thiruvananthapuram, is right under the flight path of planes landing at the Thiruvananthapuram airport. Beemapally is famous for the mosque known as Beemapally Dargah Shareef and is home to the tomb of Syedunnisa Beema Beevi, a woman believed to have divine powers, and her son Syedu shuhada Maheen Abubacker. 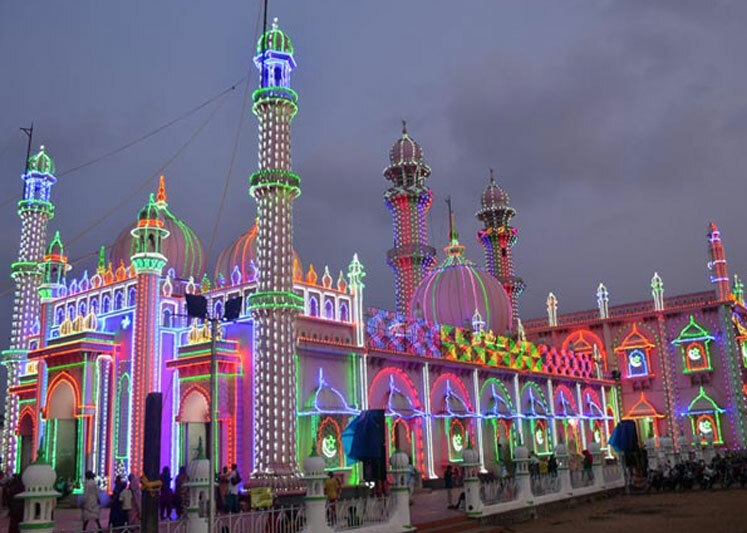 Every year there is a festival held to venerate Beema Beevi which attracts thousands of pilgrims from all faiths and castes. 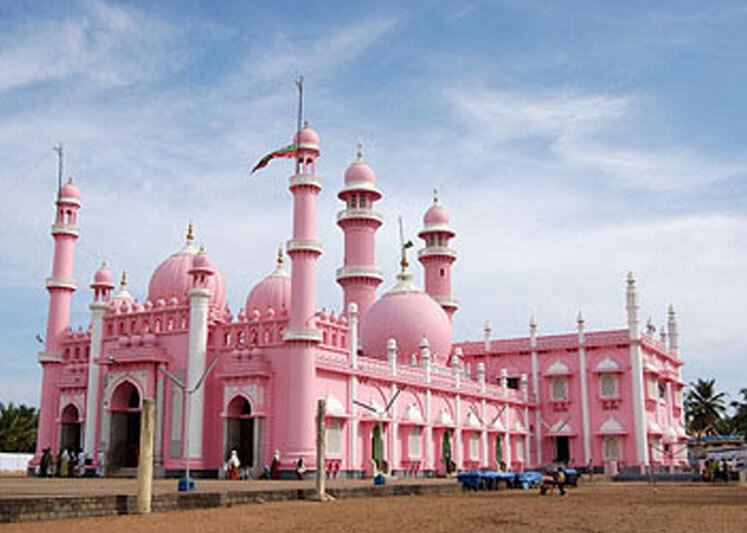 Beemapally Masjid is an impressive building with its imposing façade and soaring minarets. 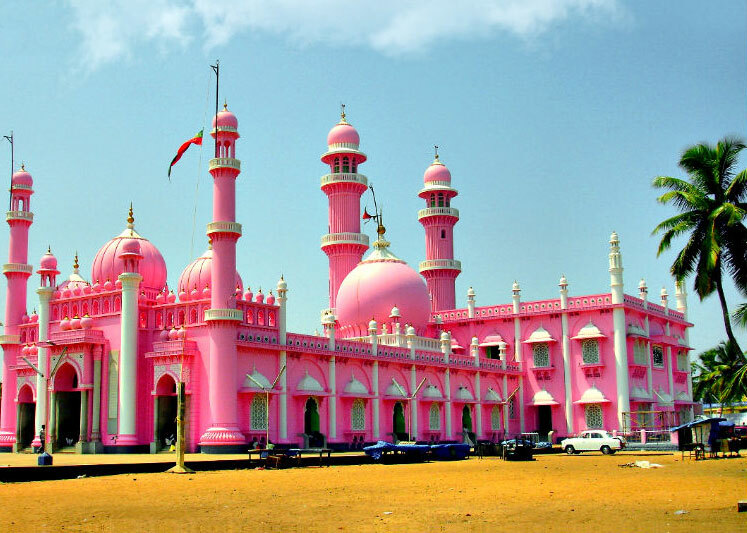 The tomb of Beema Beevi, the lady with miraculous powers who is believed to belong to the Prophet Mohammed’s family, is the main attraction at this mosque. People of all faiths come to offer prayers at Beemapally.